What is the RHEMA Alumni Audit Program? 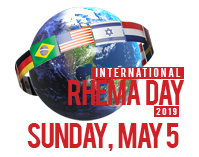 It is an opportunity for paid alumni to return to RHEMA for refresher courses, or to enroll in new courses that were not offered when they attended RHEMA. Who can participate in RAAP? All alumni who are currently paid members of the RHEMA Alumni Association are eligible. How many courses can I audit? With the exception of a few specific courses, alumni may audit any course provided there is seating, as regular students have priority. First-year certificate holders may attend any first-year course offered. Second-year and GES graduates may attend any first- or second-year course offered. RSWM, RSW and RSPM graduates may attend any first- or second-year course offered. What is the fee for participating in RAAP? Only $80 per course. There are no discounts offered for enrolling in multiple classes. There will be a one-time annual application fee of $35. What about attendance and exams? There are no required exams or mandatory attendance for those participating in the audit program. What type of recognition or credit will an alumnus receive upon completing selected courses? Due to the nature of this program, no credits or certificates will be issued for completing selected courses. Upon registration for classes you will receive a parking permit that will allow you to park your car in those sections that are reserved for RBTC students. Do I need a badge to attend classes? Yes, you will need a badge to attend classes. A special RAAP badge will be provided for you when you register for classes. You must wear the badge at all times when you are on campus to attend classes. May I use the library? Yes, as a paid alumni and an RAAP student you have access to our on-campus student library. Please refer to the student handbook for Library information. As a participant in RAAP, you are not required to purchase textbooks for the course you are enrolled in. However, if you desire to purchase a textbook for your course, you may purchase them at the RBC Bookstore. Availability is not guaranteed. Can I purchase class CDs? As a participant in RAAP, you are only permitted to purchase class CDs for the course(s) you are enrolled in. The price of CDs is not included in the course fee. Is there a required dress code? All RAAP participants must adhere to the current RBTC dress code. Please refer to the Student Handbook for a detailed description of student policies and regulations.